Beaumont House looks at Notting Hill Student Accommodation and what experience students can expect when living there and compares its location with this area. Notting Hill is an area that is renowned for having tons of character, an array of fun things to do. Known for the lively atmosphere along every street corner, it’s no wonder Notting Hill student accommodation is so popular. It has plenty of colourful, fun properties on the market but bear in mind that rent prices can be a little on the steep side here! While it averages out as a touch more expensive than other areas in terms of rent, you just need to be sure to factor in living costs, too. 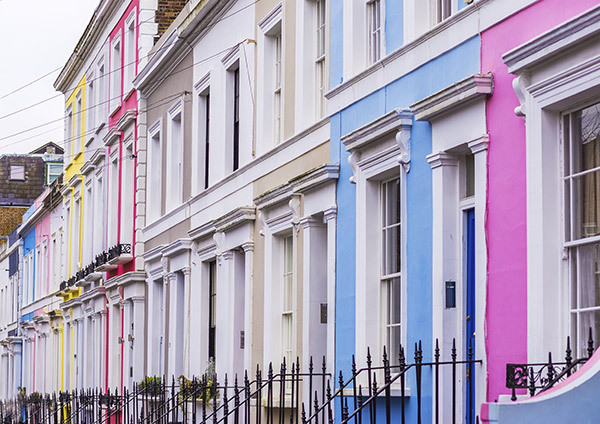 What is it like to live in Notting Hill as a student? Well, it’s a little expensive, but this is because it’s such a popular location for celebrities to live in and for tourists to visit - there really is so much to experience there. Just take the beautiful gardens to visit and study in, or the vast number of coffee shops to relax in with friends. Notting Hill is the place to try new bars, cafes and restaurants. It also has regular markets and stalls with quirky things on sale. The vast array of people living here give the area a multi-cultural feel, which creates an inviting and inclusive atmosphere to the area. As well as this, it has Notting Hill Carnival which is arguably the most famous street carnival in the world. With this occasion, a vibrant and fun atmosphere is brought to the area and people from around the world travel to London to attend it. This event is a real hit with students and certainly not one to miss. To get to Notting Hill from us you don’t even need to hop on the tube. Our great location means you can walk to Notting Hill’s most famous market, Portobello Market, in just 10 minutes. Due to the slightly pricier nature of Notting Hill student accommodation, why not consider living in Beaumont House? We offer exceptional and affordable student accommodation, whilst still giving you access to the great array of things to do in Notting Hill and surrounding areas. Beaumont House is Registered in England and Wales No: 123456789.